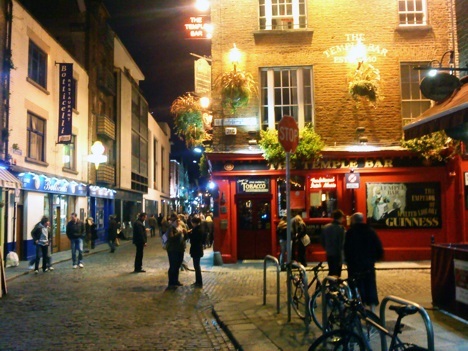 Welcome to Travel Guide 2 Ireland, the site about travel, tourism and vacations in the Republc of Ireland. The Republic of Ireland (Irish: Poblacht na hÉireann) is a country in Northwest Europe, occupying over 80% of the island of Ireland. 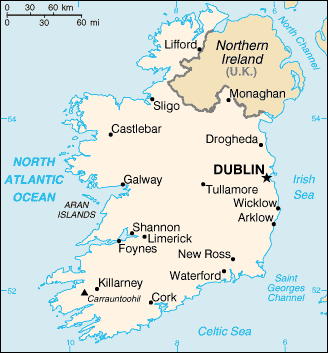 The Republic of Ireland approximately by Northern Ireland (which is part of the United Kingdom) to the North, the Atlantic Ocean to the West, the Celtic Sea to the South, and the Irish Sea to the East. The western and southern coasts of Ireland consist mainly of cliffs, hills and low mountains, the highest point being Carrauntoohil at 3,406 feet (1,038 meters). Interior regions of the country are however relatively flat land, and contain a number of large lakes ("loughs") and large areas of bogland. As of the 2006 census, Ireland had a population of 4,234,925. The population of the country has increased considerably in recent years, in part because of immigration (approximately 10% of the population is now made up of foreign citizens), in part because returning of Irish citizens who had previously left the country when unemployment was high, and also because the country (uniquely for western Europe) has a high birth rate. 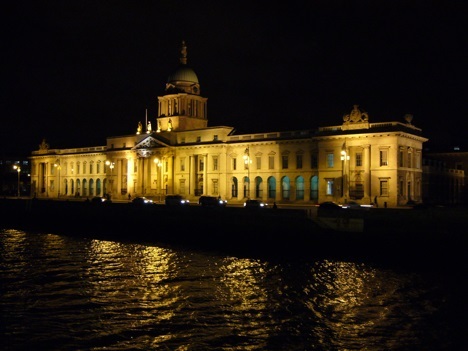 The largest city in, and capital of the Republic of Ireland, is Dublin, which has a population of over 0.5 million in the city itself, and over 1 million in the metropolitan area. Other important cities in Ireland include Cork, Galway, Kilkenny, Limerick and Waterford. Ireland's economy has traditionally been focused around agriculture, but in recent years there has been a considerable growth in industry fueled by foreign investment and trade. As a result, Ireland now has the second highest GDP per capita of any country in the European Union (after Luxembourg), and the fourth highest in the world. However, some economists feel that such figures overstate the strength of the Irish economy because they include profits generated by multinational companies which leave the country. As already mentioned, the Republic of Ireland is a member of the European Union. The country is also a member of the eurozone, and has used the euro as its currency since 1998. According to most economists, Ireland has benefited considerably from the adoption of the euro and the resulting low interest rates, which have helped sustain the country's high rate of growth.